A 42-year-old man has been charged with the attempted murder of actor Tam Dean Burn, who was stabbed in an Edinburgh street on Saturday. 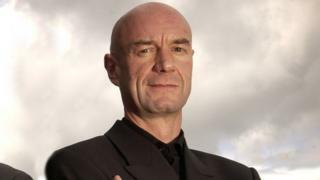 Mr Burn, who has appeared in Outlander, River City and Fortitude, was attacked outside the Scottish Poetry Library in the Crichton's Close, in the Holyrood area. The 60-year-old actor was initially treated in hospital but later released. The arrested man is due to appear at Edinburgh Sheriff Court later. Mr Burn was attacked after a tribute to the Scottish poet Tom Leonard, who died last year. About 60 people - including Mr Burn, Liz Lochhead, Joy Hendry, Kevin Williamson and George Gunn - attended the event.